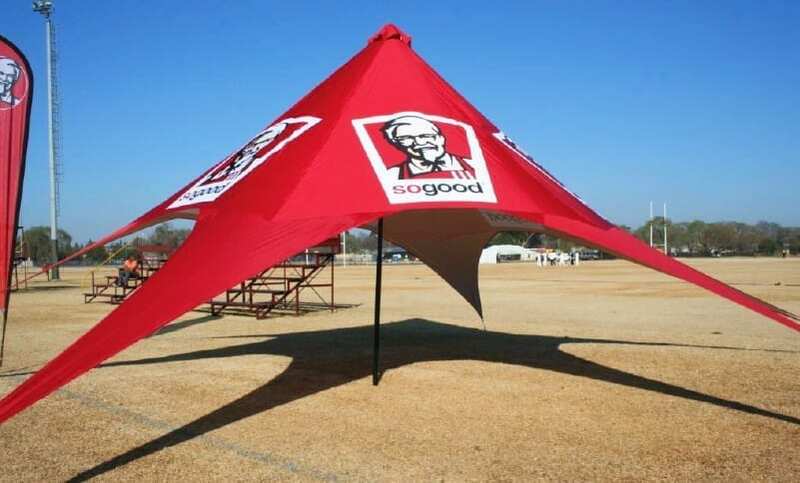 When you need branding impact, the Star Tent is the answer. 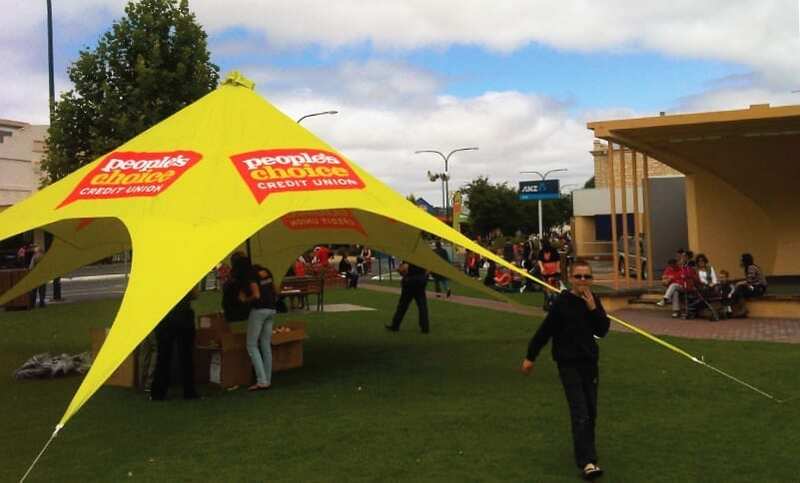 A massive branded event tent, this product will ensure your brand is the centre of attention. 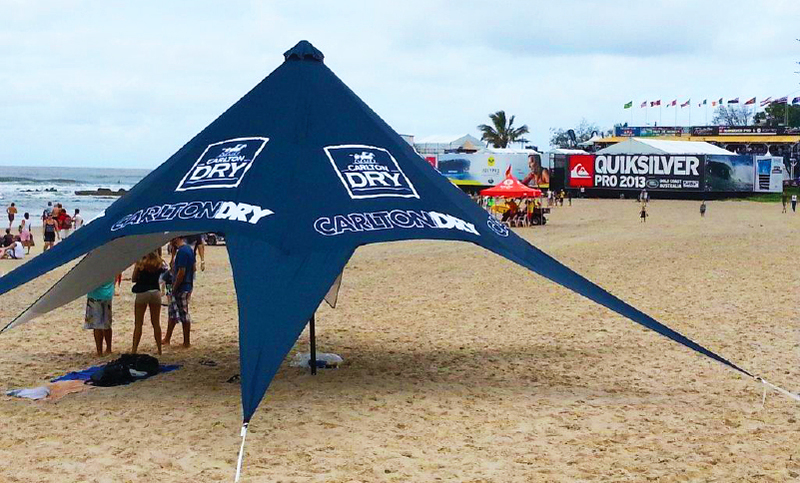 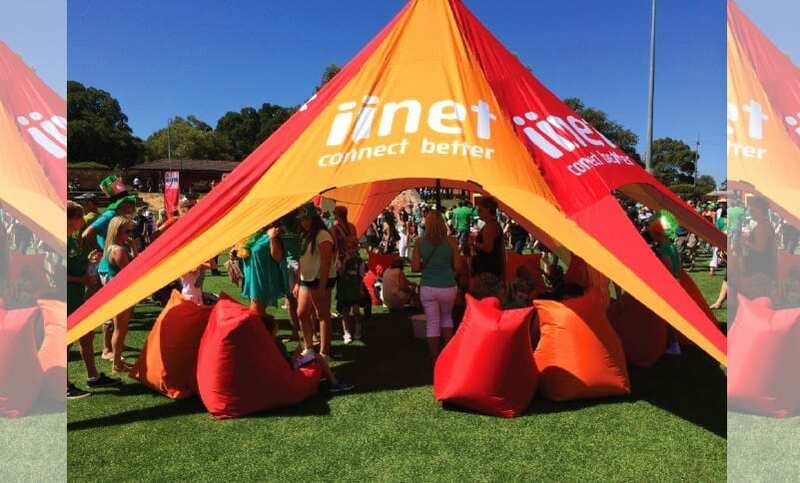 You can’t miss our branded tents at outdoor events and they are a funky and functional way to make sure your branding gets both seen and remembered. 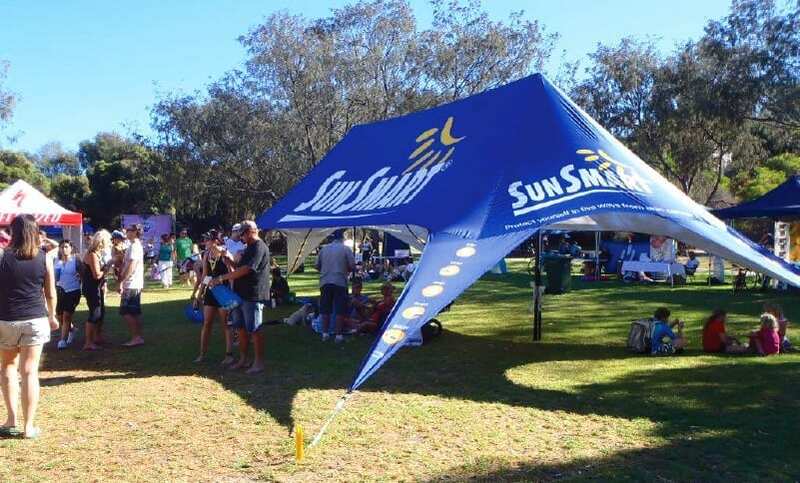 Spanning up to 14m in Standard form or a whopping 19m in Jumbo form the Star Tent is our largest product and can be used as both a branding beacon and a convenient shelter to shade event spectators from the elements. 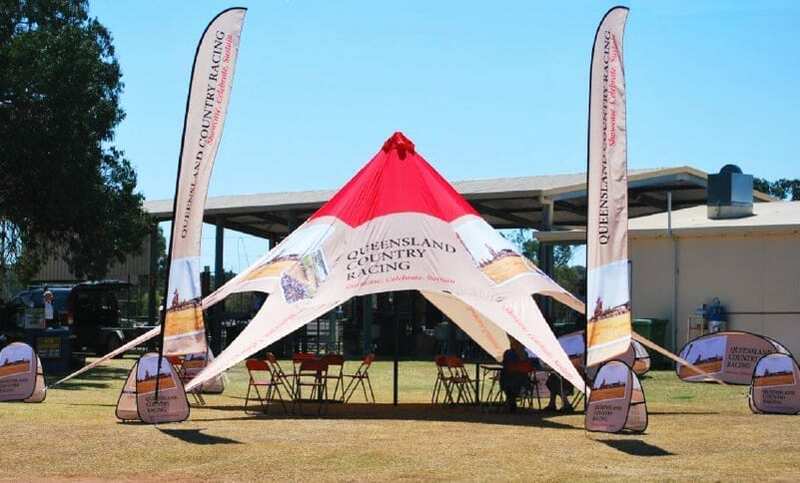 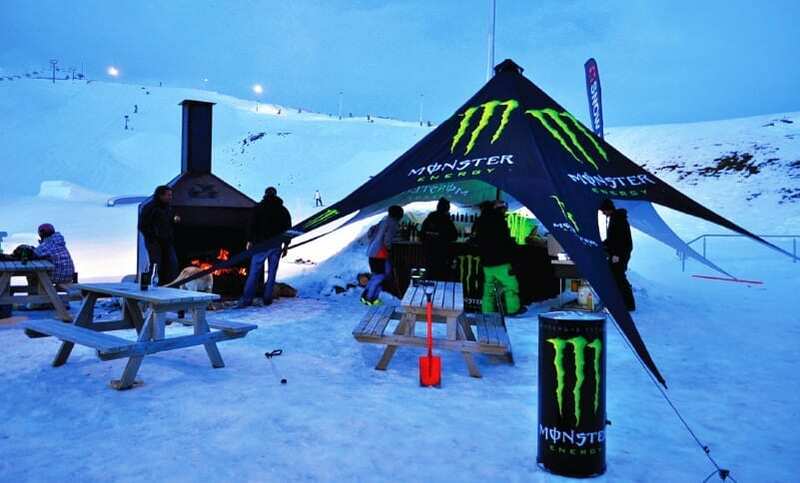 As you can see in the images, these branded tents certainly make an impact at events and are the ultimate addition to your marketing arsenal. 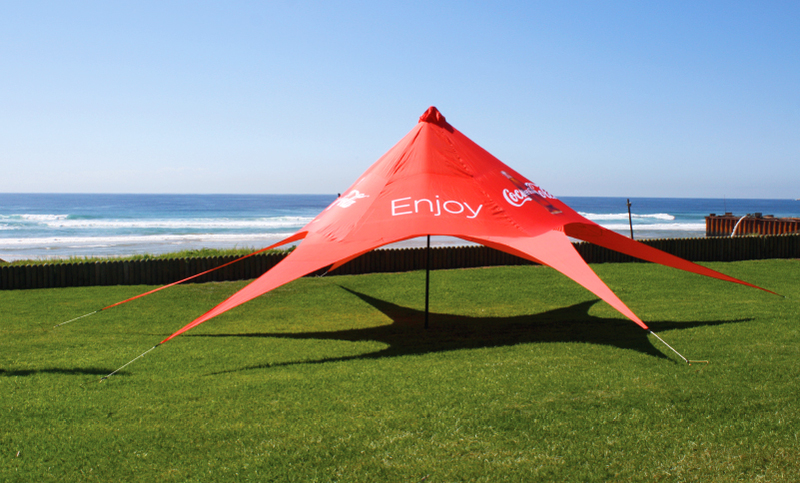 The standard branded tent consists of one three piece pole up the centre of the canopy which is pegged out to six different points. 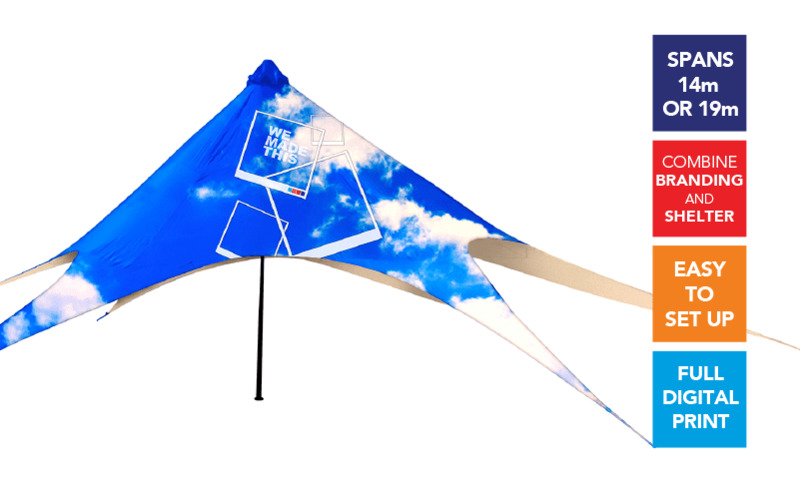 The straps that attach each point are each tensioned against the heavy duty stakes to create a rigid structure. 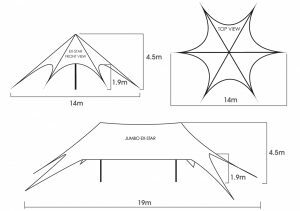 The star tent is not suited for hard surfaces as too much weight would be required to hold the six points firmly enough. 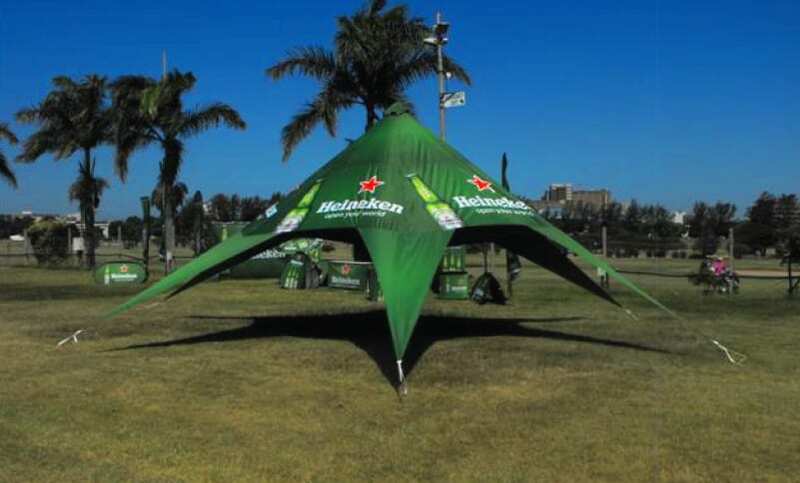 The Jumbo Star Tent uses two poles instead of one to create a massive structure. 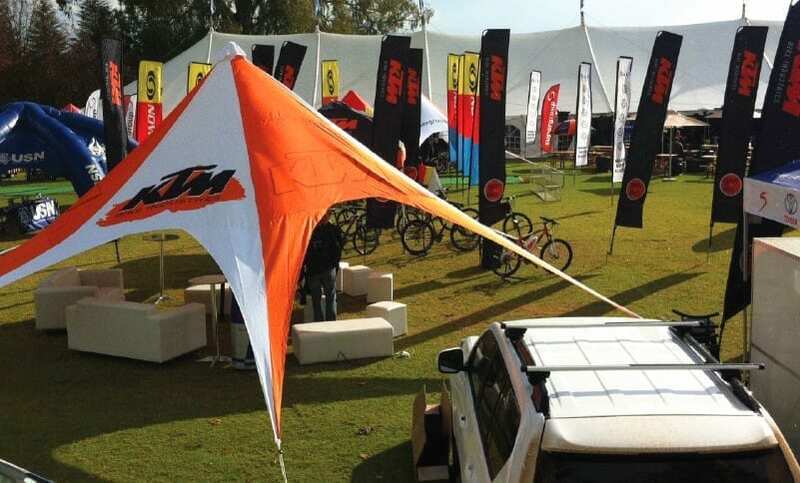 It is important that the correct heavy duty wide pegs are used to secure the star tent. 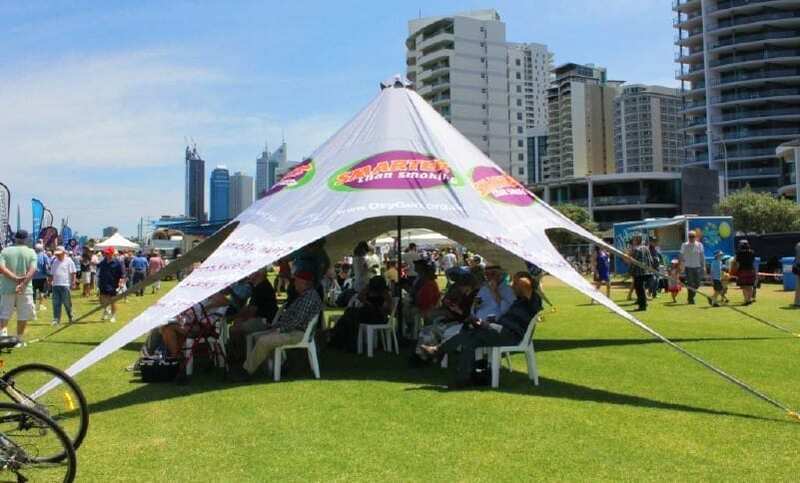 Need something smaller: try our Dome or Standard marquee.